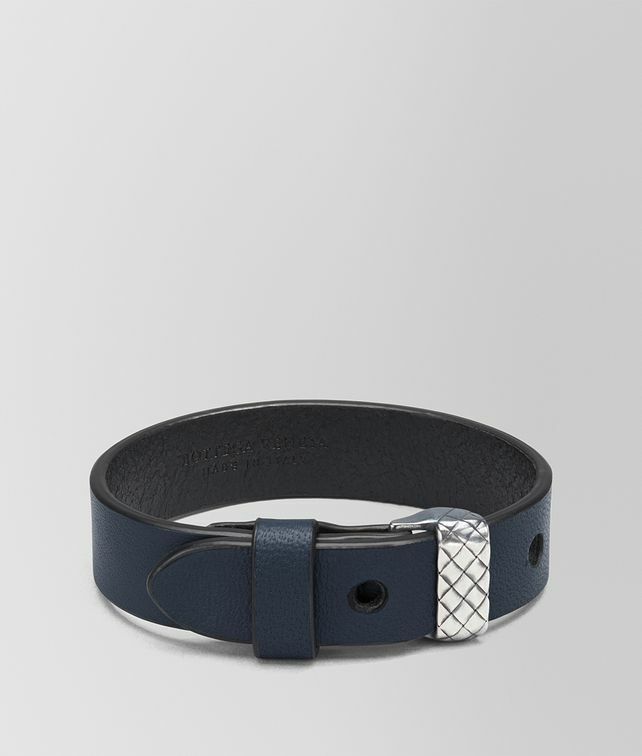 An understated yet polished accessory to pair with any look, this masculine bracelet is characterised by a supple leather band, accented with an oxidised silver buckle. The buckle hides a simple stud fastening, making the bracelet adjustable and easy to wear. Finished with contrasting edges and Intrecciato engraved details.